The eyecare industry has traditionally been fragmented in Canada, making it exceedingly difficult to credibly and effectively educate both provincial and federal governments about the issues affecting it. As seen with the rapid deregulation of ophthalmic dispensing and sight-testing in British Columbia, professional associations and regulatory colleges are increasingly being left out of the legislative process and are therefore increasingly removed from the process of maintaining and improving standards of care. 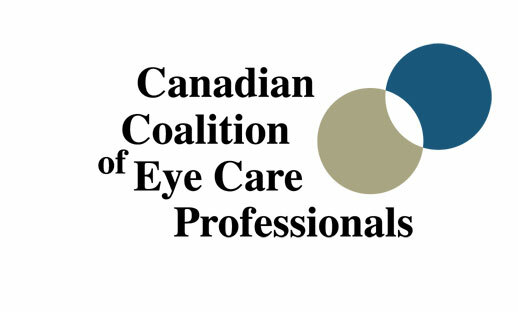 The Canadian Coalition of Eyecare Professionals (CCEPro) is the first pan-Canadian organization to unite the three ‘O’ professions: opticianry, optometry and ophthalmology. It was formed to present a unified, cohesive body representing all ECPs, one that governments can approach when they have questions regarding eyecare legislation. We believe that collaborative care is the way forward, both in terms of determining sensible eyecare legislation and in delivering eyecare itself. According to the Cost of Vision Loss in Canada study conducted by CNIB and the Canadian Ophthalmological Society, the annual cost of blindness and visually compromised individuals in Canada is $15.8 billion. There are 800,000 Canadians currently living with blindness and/or partial sight, and every year another 40,000 Canadians lose their vision. Clearly, eyecare is an important issue needing careful consideration by both provincial and federal governments. Governments are becoming increasingly concerned with the rising costs of health care and often make decisions designed to alleviate financial pressure. However, due to the short-term nature of politics, these decisions often don’t add up to long-term solutions. CCEPro’s objective is to advocate for health policies and legislation that will improve the vision and eye health of Canadians in the long term in a manner that is fiscally acceptable to government. To unite opticianry, optometry and ophthalmology in order to work cooperatively in providing the best eyecare to Canadians. To encourage membership of professionals concerned about the long-term eye health and vision of Canadians. To collaborate with government regarding the eyecare needs of Canadians. How will we work together? By putting the public interest front and centre and having an open registry of membership from all areas of the eyecare field to ensure transparency, CCEPro hopes to have a positive effect on the eyecare landscape in Canada. We hope to engage with as many stakeholders as possible and invite individuals from across the eyecare industry — opticianry, optometry and ophthalmology — to become members. There is no cost to join. A transparent and grassroots approach to growth is crucial to our success. We hope to ensure that all three eyecare professions have equal representation on the board of directors and in co-chair roles. We will also continue to support the mandates of regulatory colleges and associations, and have no intention of interfering with the roles of any of these groups. CCEPro plans to discuss topics of interest to eyecare professionals and governments on a topic-by-topic basis with its membership in order to present unified opinions to government. This approach has been very successful in other jurisdictions, notably the U.K., where a similar group (U.K. Optical Confederation) has already raised awareness of the importance of improving driving-related vision standards. CCEPro Co-Chair Dr. Patrick Quaid recently met with the Hon. Tony Clement, former Minister of Health and current president of the Treasury Board of Canada and Minister for FedNor, to introduce the concept of CCEPro. Minister Clement described such an organization as a “utopia for any government” and said he was impressed by the initiative. There is more to come. We plan an official launch gala this October. Details will be available in the months to come. In the meantime, we encourage all stakeholders in the eyecare industry to join CCEPro and show your support for a unified, cooperative effort designed to provide the best eyecare to Canadians. Visit www.ccepro.org to learn more about CCEPro and join the coalition.